The Land Rover Range Rover Sport went on sale in the UK in 2005 and was met with a somewhat mixed response. Many critics were expecting something a little more striking from the Sport, which looks, pretty much, just like a Range Rover. It was very different from the show car, which had been shown the previous year and featured some brutal looks and only three doors. However, any initial hostility quickly dissolved once those critics got behind the wheel of this already classic car. In April 2006, the bolder looking HST version was released, complete with spoiler. 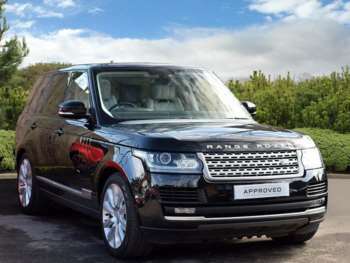 The TDV8 engine was introduced in 2007, combining fuel economy (relatively speaking, this is a Range Rover after all) with stunning performance. 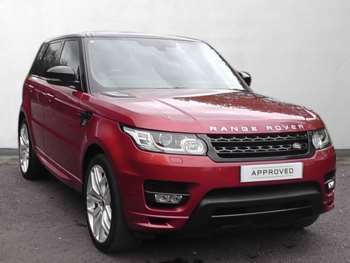 The used Range Rover Sport surprised everyone when it turned up with five doors instead of the expected three. It doesn't have a lot of leg room in the back but does boast the largest boot of its class. It rides on a monocoque chassis featuring a double wishbone suspension and offers a far superior ride and handling than any Land Rover car previously produced. The interior is smart and clever with many of the controls set at an angle pointing them towards the driver. 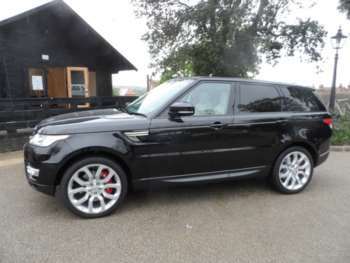 The Range Rover Sport for sale is a fantastically executed car combining the all-terrain ability of the Discovery with the unmistakeable quality of a Range Rover. 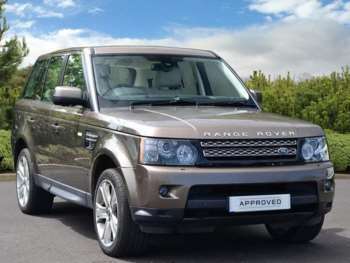 A good condition, fairly low mileage 2.7 litre Range Rover TDV6 (diesel) from 2005 should set you back around £38000. V8 models start at around £41000 and go up and up from there. 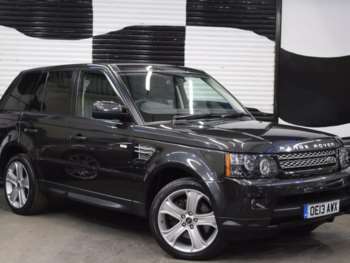 The transmissions and engines used in the Range Rover Sport for sale have no known recurring faults but are expensive to repair when they do develop a problem, so listen out for rattles during a test drive. Also check all of the electrics carefully. Make sure you have an HPI check done – the Sport is a favourite target of car thieves. During your test drive make sure that you check the electric parking brake works well - there have been reports of its getting jammed on. Many examples of used Range Rover Sports will have done more miles than the average car, but don't let this put you off too much, their engines are capable of big miles. Bear in mind that a second hand Range Rover Sport may have been used for some overly-enthusiastic off roading so check the underside of the car, the front spoiler and any alloy wheels for damage. A clutch assembly should cost around £210 and a starter motor about £240. A radiator will be £375 and front brake pads around £50. An alternator will be close to £280. 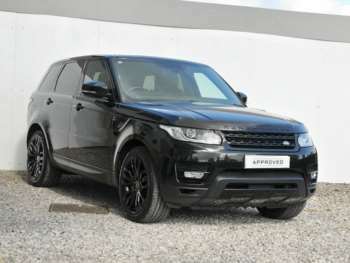 These are indicative prices based on a 2005 Range Rover Sport 2.7 litre SE and they are exclusive of VAT. The most talked about engine in the range is the 4.2 litre supercharged V8. 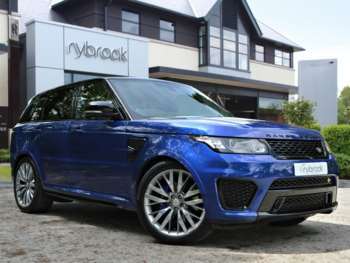 This engine is based on the Jaguar AJ-V8 unit and has been adapted for use in the used Range Rover Sport. This involved waterproofing the unit, adjusting its torque response and the fitting of some additional oil baffles which allow it to keep operating at particularly steep angles. The supercharged V8 can generate 390bhp and is a proper piece of engineering capable of producing 410lb/ft of torque. That's enough power to accelerate the used Range Rover Sport to 60mph in just 6.8 seconds and to a maximum speed of 140 mph. Top speed could be increased further were it not for the tyre tread which extends far in to the side walls of the tyre. Reminding us that this is a brilliant off road vehicle as well as great on-road drive. Two further engines were also made available at launch; the normally-aspirated 4.4 litre V8 which generates 295 bhp and the entry-level engine which generates 190bhp. The 2007 TDV8 produces 272 bhp with 650 Nm of torque and is the pick of the entire range with its improved combined fuel economy (over 25 miles per gallon) and a nought to sixty time of 8.6s. Trim levels are at S, SE, HSE and the top of the range, HST, only available with the supercharged V8. 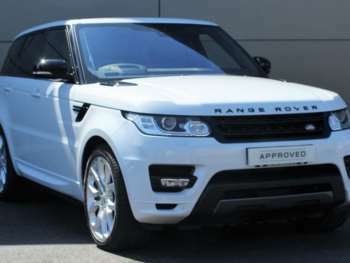 Many would say that the approved used Range Rover Sport is the best car that Land Rover have made so far and the demand for used models is huge. 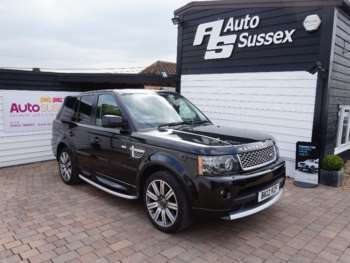 It combines the off road capabilities of the Discovery with the class of a Range Rover and if the hefty price tag is within your budget, you could do a lot worse than invest in one. 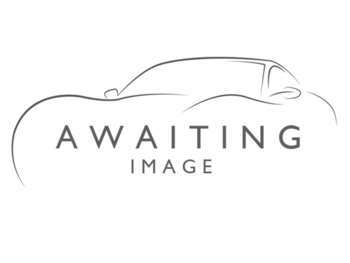 Got a specific Land Rover Range Rover Sport model in mind?